Perhaps you remember the Palm Foleo. 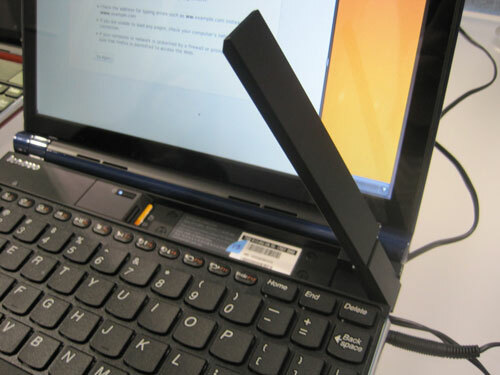 Back when netbooks were still running around in diapers, Palm announced the so-called “subnotebook” to bridge the gap between smartphones and full-powered laptops: large enough to comfortably type, surf and e-mail from, but small enough to carry everywhere. Despite the geek love for the concept, Palm axed it less than a year later to focus on the then-unknown Pre. Lenovo apparently never forgot. 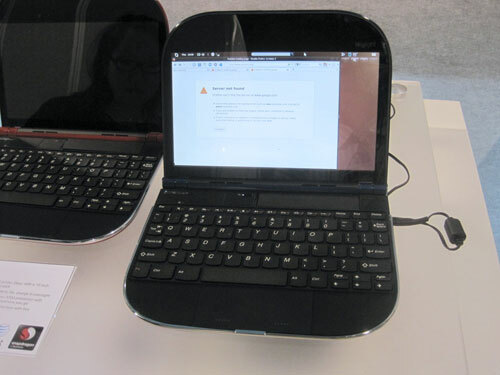 Among the many new notebooks and prototypes shown at CES 2010, the company’s recently launched Skylight looks to us a lot like a Foleo prototype dusted off and brought to production – based on an ARM processor, running a custom Linux-based OS, and half the thickness of today’s netbooks. Oddly enough, the Skylight has a sort of trunk hiding above the keyboard: Flip the plastic filler piece up, which is actually attached to a USB arm, and you’ll find a SIM chip for the built-in 3G modem and an open space. It’s been designed to accommodate USB accessories within the laptop – for instance, you might add a 16GB thumb drive to add more storage than the native 20GB SSD within. Priced at $500 without wireless contracts, the Skylight may have a tough time competing with netbooks, but its sleek build, thin chassis, light weight and extended battery life (Lenovo claims 10 hours) will all give it a leg up for true road warriors.